Live Casino – Some people still don't grasp the difference between a live casino and a land-based casino. “Both are live not” is a phrase frequently use when one discusses with them. Basically they are correct as both are live… but with one significant difference. Key here is that when one mentions a “live casino” the person is referring to a casino or studio with live dealer table-games that is (which are) broadcasted online on the World Wide Web (WWW). Land-based casinos are what they are, casinos based on land. Buildings of concrete, steel, stones, wood and other building-materials. One can find these all over the world. They provide a wide array of table games, video-slots, poker-games and other games of chance. Usual they are an oasis of lights, bells, sounds and packed with shows full of glitter and glamour. Live Casinos online are different. As far as the games go they are similar but there are huge differences between land-based and online casinos with live games. Basically there are two different live casino on the internet. Live Casino: this is the wording we choose when one is referring to a live casino online that broadcasts via live streams directly (in real time) from a real land-based casino. This can be from any country in the world. 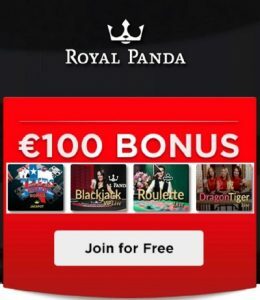 In this type of live casino one can participate on the real live tables and play together with (or against) real visitors that are actually playing live in that landbased casino. Those visitors can not see you nor can you see them. Obviously this has to do with privacy laws which protects ones identity e=and allows you to play anonymously. Live Casino Studio: Opposed to the “real live casinos” these studio's can not be visited by players from outside nor are this real casinos. Well they are… but the only things one can encounter should one be able to visit a studio is casino tables, live dealers and a lot of equipment to broadcast. These live studios are purposely built for offering casino games online. Many operators hire the studios to broaden their online offering and give players the opportunity to play in a more “casino like” environment. The first live studios appeared around 2012 and today they are a huge success. Most of the online operators offer live casino games nowadays. Unfortunately there is a lot of difference in the quality available online. There are a few online casinos that really elevated their live offering to a superb level. If one would not be sitting in its own sofa one would think they are really playing in a casino. The quality of the live casino tables depends a lot on the relation with, and choice of, the provider for the live dealer games. Basically they are two providers that stand-out when it comes to their live offering, Evolution Gaming Software and Netent Live. These providers only work with highly trained live dealers. Pure professionals that could work in any five star casino all over the world right away. Both Evolution (in our opinion the leading number one in the world!) and Netent recruit and train their own dealers and croupiers. There is no “Rocket Science” involved to be honest. Basically the broadcasting form the casino (or live studio) is quite simple. All one needs is High Definition camera pointed at the table and the dealer. There is nothing more to it. Being able to view the actions of the dealers comes down to the camera and the angle of view. These are one-way camera's that stream the actions of the dealer straight to your device. Being it a desktop, notebook or mobile device is not relevant as nowadays they all support video. But for sure you will be thinking now, oh and how does that dealer knows how I want to play? Who places my bets and who pays them out if I win?! Well that is a completely different story. That comes down to the live casino software that supports the dealer. Here is the part where it becomes serious. As mentioned the cameras used are one directional camera's. They just face and broadcast the dealers and the playing field. what is recorded is sent to the screen of the device you are using to play at the live tables. Now obviously this isn't enough to make you able to interact in the game. Bets, wins, losses all needs to be registered 100% accurate. Here is were dedicated soft ware comes in the picture. The software “manages” the financial parts of the game. So like you on your own screen the dealer also sees your bets and your “actions”. Example given: You take place at the live blackjack tables online and want to place some bets. The software records your best and displays them on both screens, your and the dealers. During the game the dealer starts to pull the cards and you need to decide whether you want another card, stand or are bust. After making your decision you click on your choice and immediately the dealer sees what you have decided. And will proceed according your choice. Assuming you have had a good hand and decided to take another card the dealer will continue to draw a card. He or she will do the same for the other players. (Obviously action taken will be based on each individual decision per player). The software keeps registering every decision meticulously in milliseconds. So the chances of errors or mistakes are reduced to less than 0.001 percent! Where it all started of with two games, Roulette and Blackjack, live casino began to gain popularity when additional games where added. Nowadays there are over 30 different live casino games to choose from. and it seems there is no end to it yet. The live casino software providers are investing heavily in fund and resources to develop new live casino games. The latest editions that have hit the market with a big bang are Lightning Roulette and Live Football Studio. You can read more about live casino games on our dedicated games page.